this is a recording of a live set constructed for a visit to the united states in the summer of 2005. it was recorded in cambridge, massachusetts, by keith fullerton whitman at art interactive. the event was part of the plusone series, curated by mike bullock (of chloë recordings) and linda aubry. 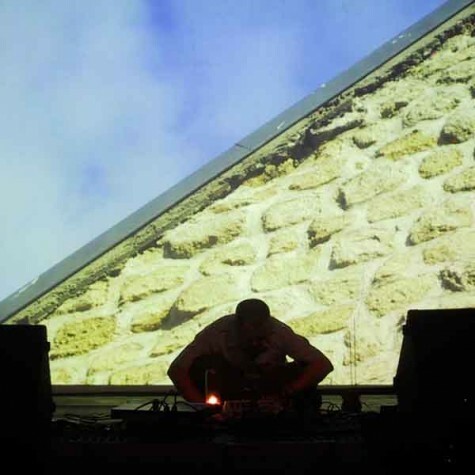 i put this set together with a desire to make my live sets more ‘live’ – i had begun therefore to use a wider array of found ‘playable’ objects in my performances, in contrast to the pure field recording compositions that have comprised most of my recorded work. these performances were also the first which used visuals – i have never much liked visuals in concert situations, finding them distracting and decorative. but i have been experimenting with a series of still images that i think manages to lull my audience rather that distract them and hopefully enables them to fall deeper into sound. this release was originally available for free download from the italian net label ctrlaltcanc.